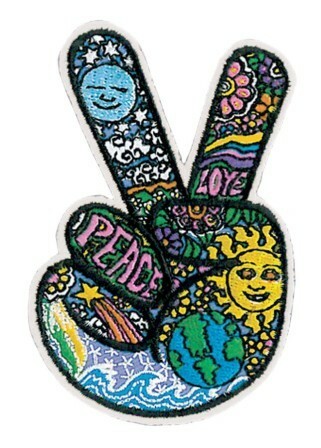 This Peace Fingers patch was designed by Dan Morris and would go great on a pair of jeans, a jacket, even a purse. Embroidered patch can be ironed or sewn on. Approx. size is 3 1/2" tall.